Storj kicked off Test Group C on July 8th. This is a major announcement for the Storj team as it signifies the beginning of their final testing period before the full launch later this summer. Do you want to get involved in Test Group C? The full announcement for Test Group C can be read here. In related news, Storj Labs added three high profile members to their technical advisory board. “We’re extremely pleased to have Michael, Tyler and Warren join our team as we launch operations this month. Storj was built specifically for software developers and we are excited to allow them to start seeing the benefits of a distributed, end-to-end encrypted object storage network: higher security, better performance at half the cost of the big guys,” said CEO Shawn Wilkinson. The announcement has detailed information about the new members and it can be read here. FoldingCoin held their monthly meeting on July 3rd. Catch up with Robert, Jona and Helene here. The Counterparty Foundation is offering bounties for site and content translation! In addition to Chinese and Japanese bounties, there are 50 XCP available for German and French translations. Take a look at all available translation bounties here. Counterparty and Storj charts were added to ethereumwisdom.com and can be viewed here. Storj released part 2 of the 3 part “What is Storj” series. This post was titled “The Storj Toolset”. Read the full article here for information on storing your XCP and Counterparty assets in Armory. Spells of Genesis has been in the news frequently due to the rising popularity of in-game assets. In-game assets are trending across all platforms lately but in-game assets in traditional games are not fungible! Counterparty will improve this aspect of gaming. Spells of Genesis is the game farthest along with fungible in-game assets, read about the evolution of their platform here. Spells of Genesis received coverage due to BitCrystal price movement ahead of the full release of the game. The brief article can be read here. Scotcoin was covered in a CoinTelegraph article that explored how to get mainstream society interested in cryptocurrency. Counterparty and Storj were in the news extensively as of late due to the recent payment channel announcement. Catch up on any articles you missed! 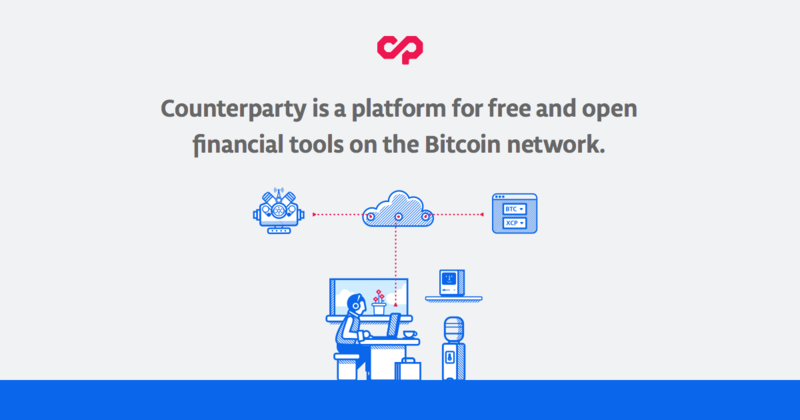 Earlier this week Counterparty released a major new update for its reference client software. The new version of counterparty-lib, 9.55.0, brings numerous enhancements such as P2SH support, Docker builds, several protocol-level updates, as well as dozens of bug fixes. The included P2SH capabilities enable support in Counterparty for multisig addresses (which start with a ‘3’), as well as opening the door to the release of payment channels (micropayments) and Lightning Network capabilities. If you are running counterparty-server, please update to this new version ASAP. The protocol changes will take effect at block 423888 (around August 4) and your software must be updated by that time. Read more information about this update here. Join the Counterparty XCP group on Telegram for breaking news and real-time Counterparty conversation.